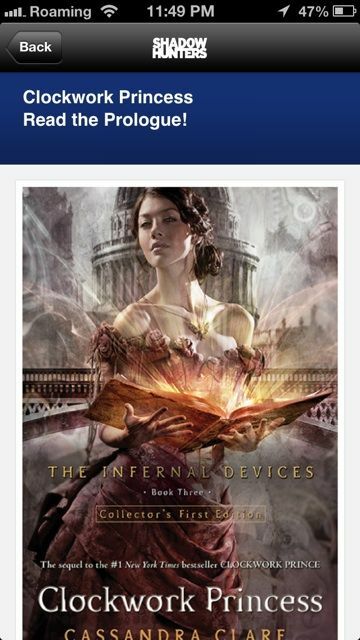 [It] is the official app for the Shadowhunter community, the fans of author Cassandra Clare and her New York Times bestselling Mortal Instruments and Infernal Devices series. Keep up to date on the latest Cassandra Clare and Shadowhunter news and announcements in a complete mobile experience. Secondly, you will get to read the prologue from Clockwork Princess! Exclusive Content: Enjoy sneak peeks and content from future books, only available in this App! What are you waiting for? 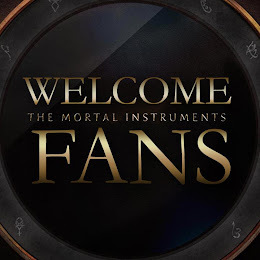 Go download the app now from: Shadowhunter.com! It is available for Apple and Android users.